Kim Jong Un shakes hands with Song Tao in Pyongyang on April 14, 2018 (Photo: Rodong Sinmun). 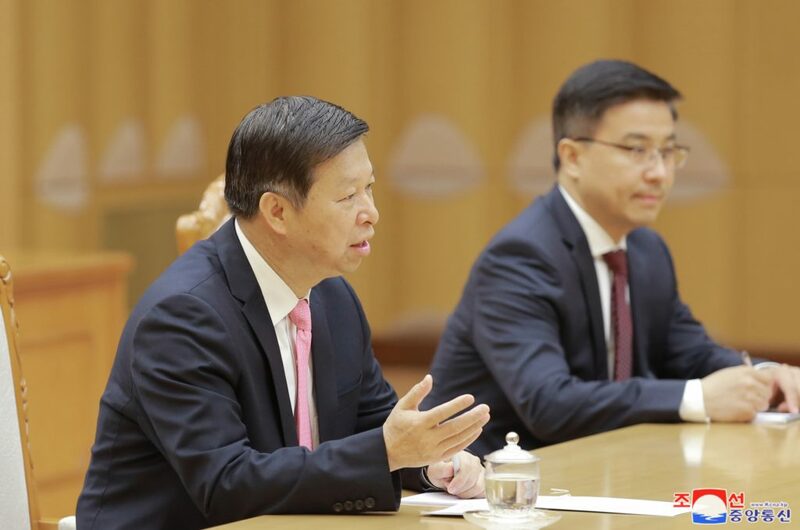 Kim Jong Un (Kim Cho’ng-u’n) met with Communist Party of China International Liaison Department Director Song Tao at the Workers’ Party of Korea [WPK] Central Committee Office Complex #1 on April 14 (Saturday). 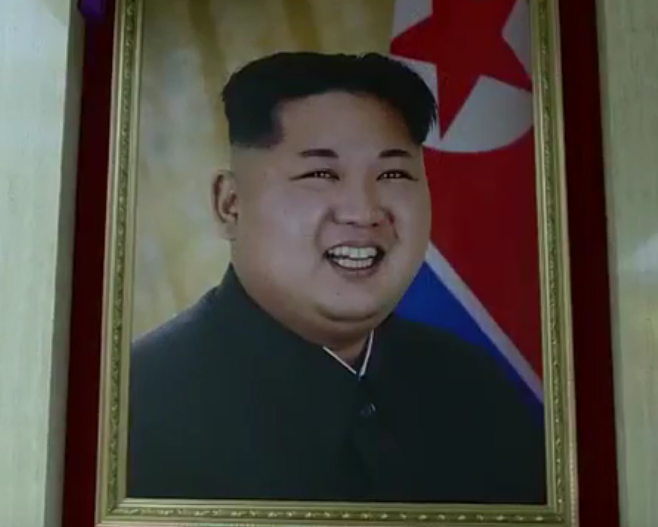 Portrait of Kim Jong Un hung from a wall in a lobby at the WPK Central Committee Office Complex #1 (Photo: KCTV). 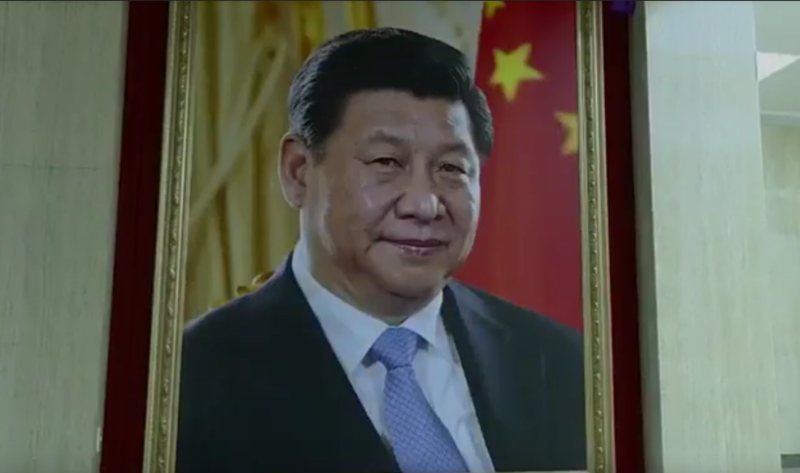 Portrait of Xi Jinping on a wall opposite the KJU portrait at the WPK Central Committee Office Complex #1 (Photo: KCTV). Kim Jong Un and Song Tao exchange pleasantries prior to their meeting on April 14, 2018 (Photo: KCNA/Rodong Sinmun). 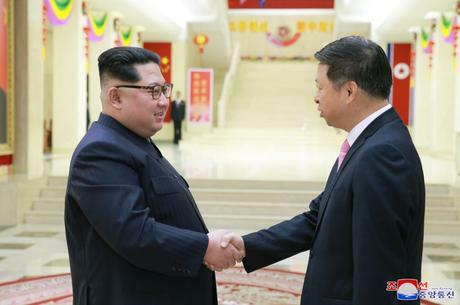 Kim Jong Un meets with Song Tao at the WPK Central Committee Office Complex #1 on April 14, 2018 (Photo: KCNA/Rodong Sinmun). CPC International Liaison Department Director Song Tao talks to Kim Jong Un on April 14, 2018 (Photo: Rodong Sinmun/KCNA). 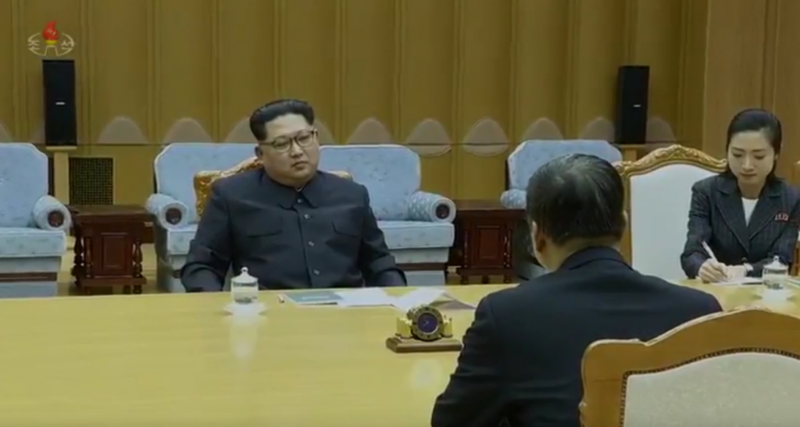 Kim Jong Un meets with Song Tao on April 14, 2018 (Photo: KCTV). 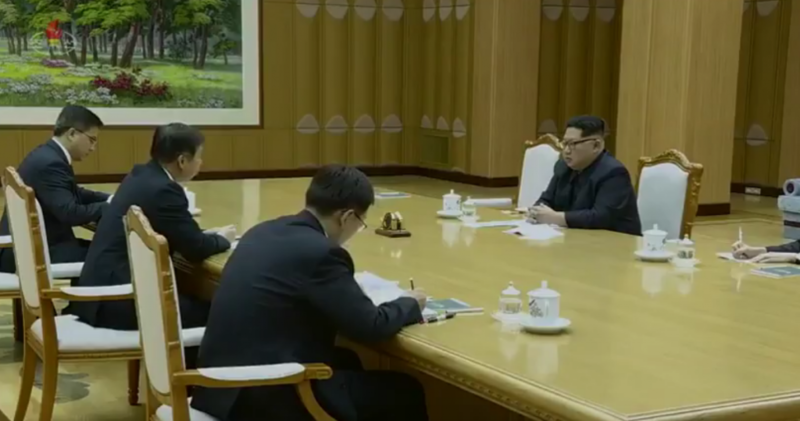 Kim Jong Un and Song Tao meeting on April 14, 2018 (Photo: KCTV). 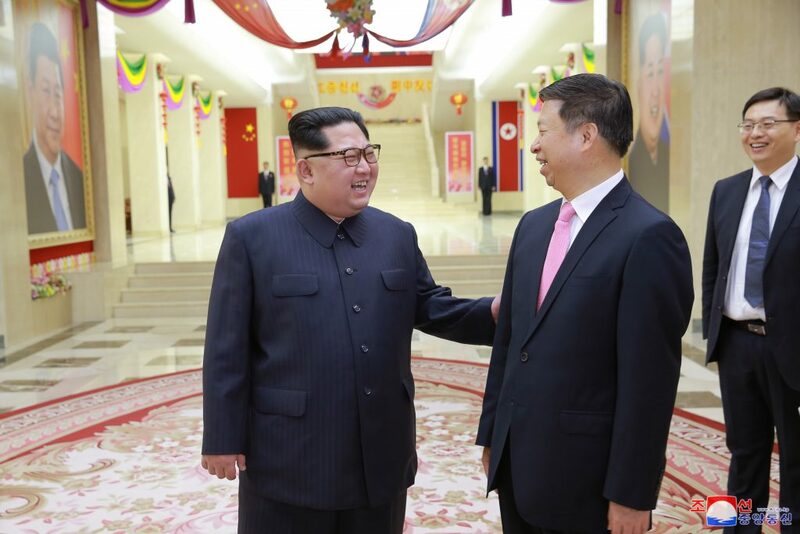 Kim Jong Un and Song Tao meet at the WPK Central Committee Office Complex #1 on April 14, 2018 (Photo: KCNA/Rodong Sinmun). 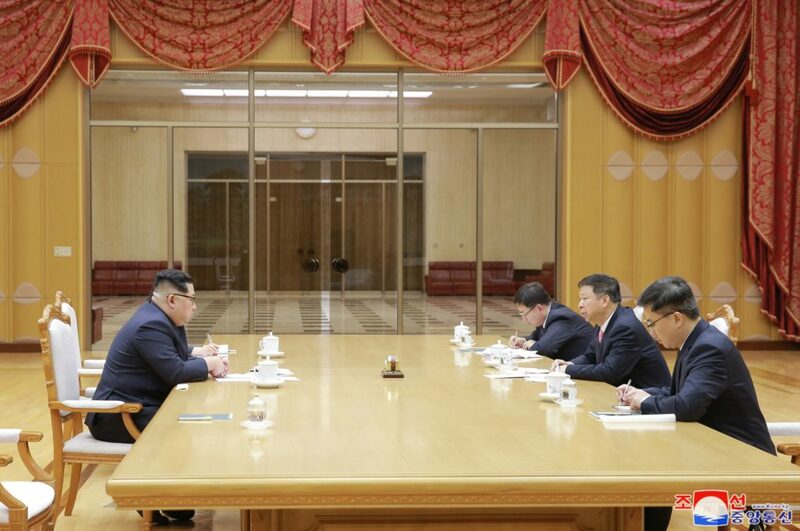 Kim Jong Un meets with Song Tao on April 14, 2018 (Photo: Rodong Sinmun/KCNA). 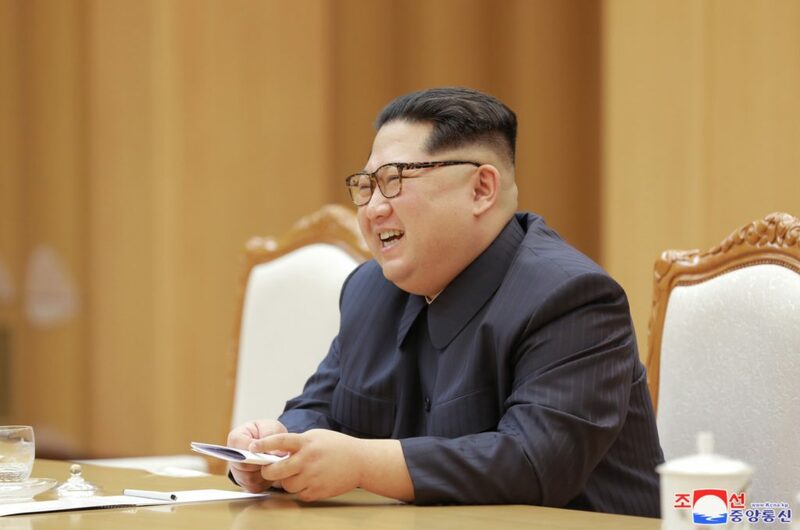 Kim Jong Un reacts to Song Tao on April 14, 2018 (Photo: KCNA/Rodong Sinmun).